FOLKTALES which have been passed down through generations since time immemorial will soon be brought to life as they will be shown on the big screen. 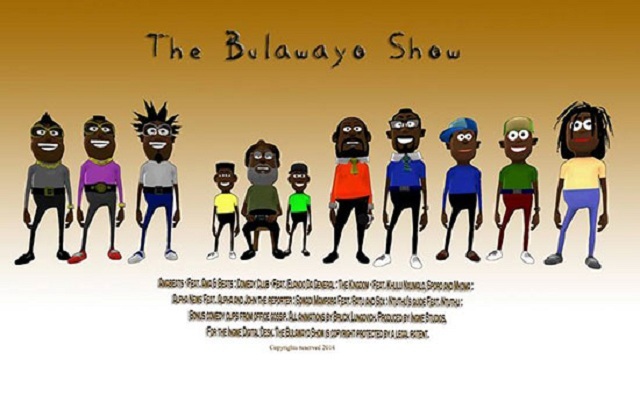 This was revealed by Zenzele Ndebele, the producer of popular animation - Bulawayo Show. The animator said he was in the process of compiling African folktales which he intends to use. Animation is one of the growing film concepts in Zimbabwe where cartoons are used to tell fictitious and real life stories in a humorous way. Popular animations include Mdu Comics - Izikhokho which produced the 'RDP house in Limpopo' clip and locally, Khuluza. From the success of the Bulawayo Show - which went viral on social media networks, Ndebele is determined to develop the local film industry, but needs capital to do so. "We're still testing the market to see if they'll support our new concept. I'm however prepared to produce folktales as I do anything that can entertain people. What we need is investment," Ndebele said. He added that they had a lot of concepts up their sleeves which they are ready to roll out once offered competitive prices by upcoming television stations who will need content. The government recently announced that the ongoing digitalisation exercise will create room for 12 high definition (HD) television channels, of which six will be owned by Zimbabwe Broadcasting Corporation while the remainder will go to private broadcasters. "We don't know how much these new stations will be offering but as long as they offer good prices and slots, we're prepared to offer our services and content," Ndebele said.